Unlike April’s “Bob, The Missing Lynx Tour” this departure day arrived with all travellers still going and both vans working. The Easter one didn’t start so well and ended up becoming something else (see earlier posts). After the Tesco delivery, my van cupboards were so full it looked like we were going for a month not the booked ten days. The plan is to try to eat in the van a little more rather than out every night. The BBQ is in so fingers crossed for sunshine. Due to booking the tunnel late after April’s tour was cancelled, we could only get a late night crossing. We set off after rush hour with no real urgency for the tunnel and arrived within minutes of the two hour window. It was chaos, busiest we have seen it in years. We realised it was school holiday and bank holiday get away day but something must have gone wrong so we headed into the terminal to find out. The faces of the people in the terminal said it all, we were in for a long night. Due to an accident on the M25 the Dartford Crossing had been closed for several hours and loads of people turned up late missing their crossings causing problems, one lady told us it had taken her 6 hours to get to Folkestone from Essex. Made our little delay seem like nothing. 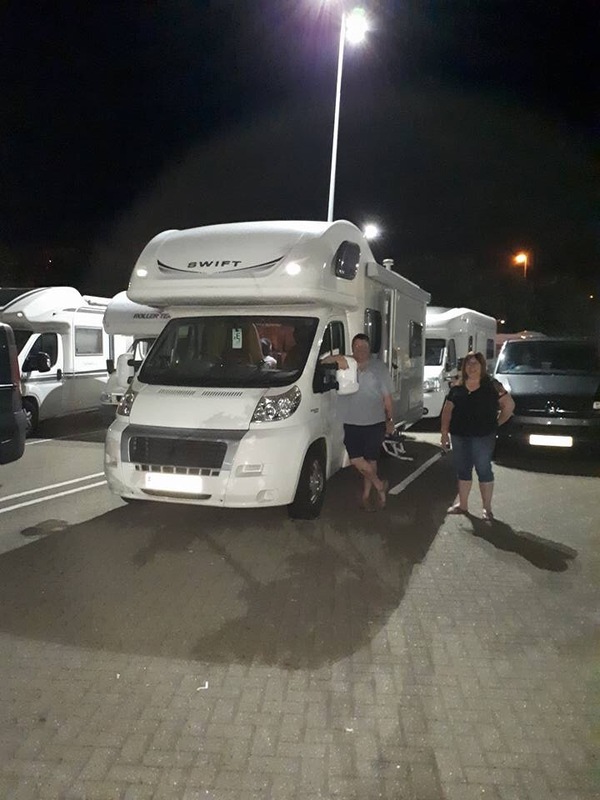 We finally boarded just after midnight and a smooth crossing saw us in France and parked up in Bergues by 3am France time. A few hours sleep and we’d move on to Brugge.